Power of the Tongue – Your Tongue is a Weapon! Today let’s talk about a powerful weapon you have, a weapon to actually help you experience victory in every area of your life. However, if this weapon is not wielded correctly, it can cause a lot of damage. What is this weapon? Your tongue. 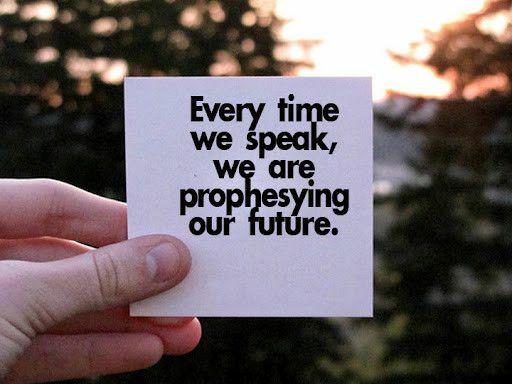 Proverbs 18:21 says life and death are in the power of the tongue and we will eat the fruit of what we say. James 3:3-6 compares the tongue to a bit, a small piece of metal used to control a powerful horse. Likewise, a tiny rudder controls a huge vessel. Just like the words you speak control the direction of your life, the outcome of your circumstances, your attitude, your mindset and your future. Your tongue may be a tiny part of your body, but its power is undeniable. Unleash The Power Of Your Words Today! And guess what kind of “fruit” shows up in their lives! They can’t get a job, they’re sick all the time, and their spouse is lazy or never stops nagging them! Neurologists have actually proven the speech center of the brain has total dominion over all the nerves in your body. Your tongue has absolute dominion over your life. That means, what you speak is what you will see in your life. So, today I want you to evaluate your speech. Take a few minutes to answer these questions… honestly. What would your life look like if every word you speak today actually showed up in your life? What negative words do you speak over your marriage, your family, your career, your relationships, your health? Do you speak more words of life or words of death over your life? In what areas of your life do you struggle to speak life? God takes the power of your tongue very seriously. He spoke us into being. He spoke, and the heavens and the earth were created. He spoke, and man was created. We were created in His image. But instead of using our tongues to create, we’ve used our tongues to destroy. Instead of speaking life over our relationships, our finances, our families, our careers… we speak death. And it must stop NOW. It’s time to use the power of your tongue to speak life. It’s time to direct your tongue with purpose. Speak words of edification and strength. Speak to build up, not to tear down. Speak life! Even if it doesn’t look right or sound right, do it anyway! Life and death are in the power of your tongue.